Lauren Rebecca: 38.5 weeks & A Peak at the Nursery. 38.5 weeks & A Peak at the Nursery. I've made it through everything that I wanted to stay pregnant for: My sister's wedding, a relaxing long weekend, a pedicure and making sure my bags are packed. I officially feel ready. Which means nothing since this baby is going to come when he wants to come. I was almost 2 weeks early with Scarlett but I knew all along that they had calculated my due date inaccurately. With a short cycle, I was sure that my due date was more like the beginning of May than their prediction of May 14. But the due date is just an estimate, right? Sure enough, she came May 4th. I'm pretty sure this baby boy's due date is pretty accurate. So we technically have a few days left. Still, I'm ready ANY DAY. 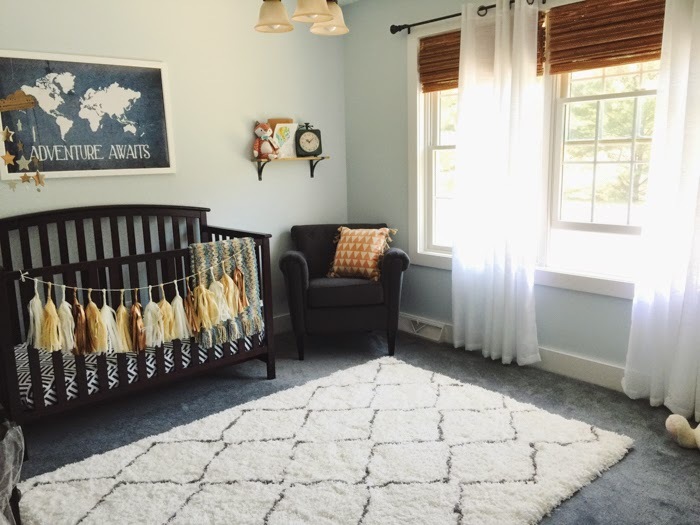 The nursery is as complete as it needs to be for now. There are still some things that I would like to add to it but it's not necessary right this minute. We have everything that we need. 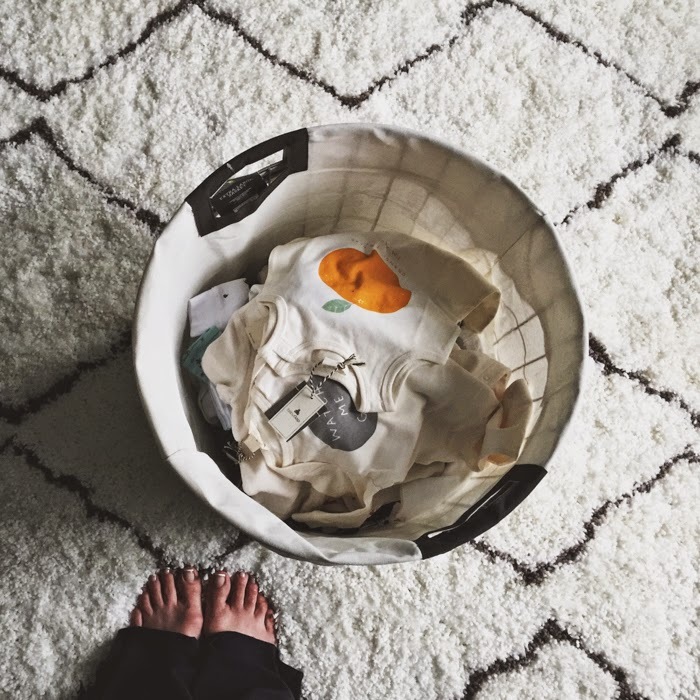 Baby Boy's clothes are washed and put away, his mini crib in our room is set up and itty bitty diapers are waiting for the day he comes home with us. When we moved into our home, the upstairs doors were all numbered. It was set up almost as if it were a bed and breakfast. I laughed at first but we ended up keeping the numbers and it's come in handy when having guests over. We just say, "You'll be staying in room 2." After we moved Scarlett into her new bedroom, we decided that the other guest room would be the nursery. So room #3 is our little baby boy's room. 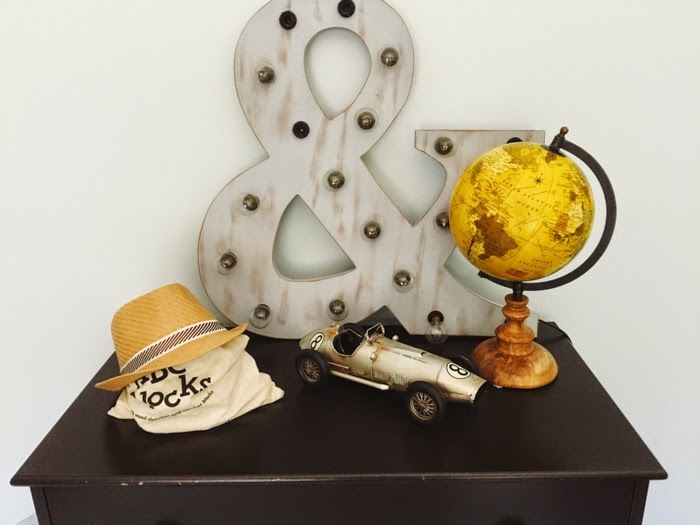 Here's the start of his room here. I'm nervous and excited all in one. I'm a naturally anxious person and tend to always think "worst case scenario". I know, it's a bad habit that I try not to feed into. My labor with Scarlett was not a bad one at all. It went textbook and after about 10 hours of labor (really only a few of those were hard labor but I have zero pain tolerance) she was born. Still, I worry. Guess that is natural. But mostly I keep thinking about how pretty soon, our lives change again...forever. A new little life placed with us...just like that. I look back and I feel like this journey went by in the blink of an eye. It started out really rough (here) and thankfully turned around as soon as I hit the second trimester. It's brought me so much joy, (and aches and pains and moody behavior...ha) but it truly has given me this amazing chapter in my life that I've enjoyed, despite the hardships of pregnancy. I feel so completely blessed and I do not take one single bit of it for granted. The last days of this pregnancy will consist of time with Scarlett. I've been trying to do as much with her as I can before she is no longer an only child. I want her to know that she's loved and that even though our family is growing, she is irreplaceable. I have no worries about her really. She is that strong type of soul that seems to adjust easily and adapt to what life brings. Besides, she's been over the moon about him arriving for the last 6 months. I know how she feels. As these days get closer, I feel like it's becoming all too real. 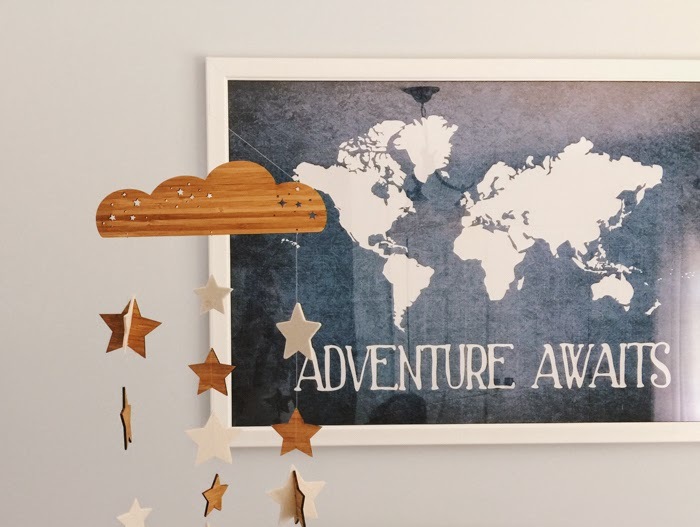 And yes, as adventure awaits him, we can barely wait for him. 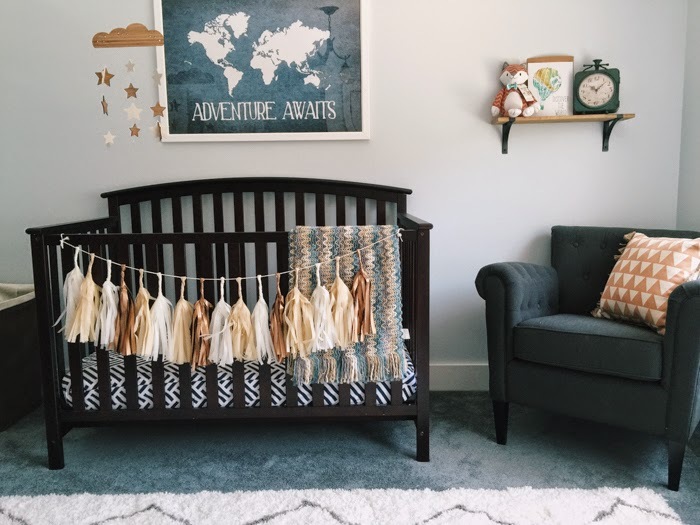 Your nursery is absolutely stunning! All you need is a handsome young lad to make it complete! :) Where did you get the rug? I LOVE it! Loving your style!!! 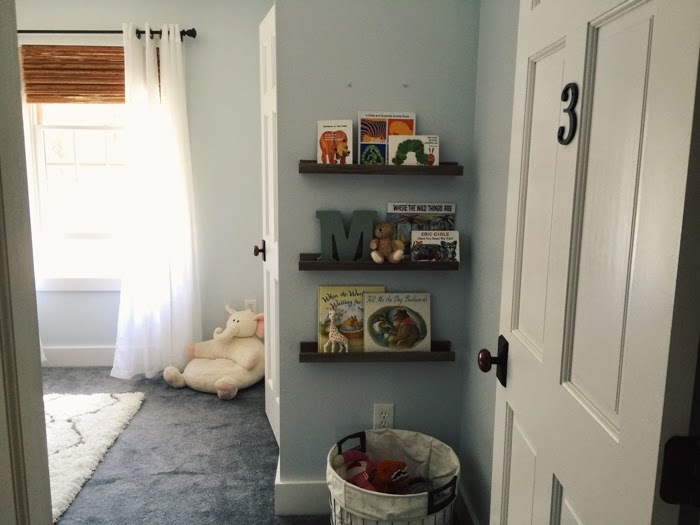 Gives me great ideas for my first babies room coming this December! I love the Nuna MIxx stroller! Pick me! This stroller is absolutely beautiful. I would love this for my daughter Charlie. Due any day!! !